I was recently told that podcasts are dead, but there are plenty of homesteading podcasts out there, and they’re a rich resource of information. They also happen to be a convenient way for a homesteader, who’s likely busy about the farm or with children, to absorb information. When you’re out and about, planting an orchard, tending a sick goat, or breaking ground on a new bed, you can still educate yourself with homesteading podcasts without losing the pace of your work (and this time of year, who can afford to stop working?) and without spending a dime. Although milking Dahilia is riveting work, I like to multitask. When you visit my farm, you’ll find me mucking about with earphones listening to homesteading podcasts, learning about time-tested skills or ground-breaking research that will improve my farm. Homesteading podcasts are also a good learning tool for children, because even if your child can’t read yet, he or she can be introduced to self-reliance and traditional skills by listening. I’ve found several homesteading podcasts that I listen to regularly that are full of helpful, relevant information. Whether you’re an urban farmer, live on 10 acres, or are lucky enough to have a hundred acre plot, the value of these homesteading podcasts remains the same. 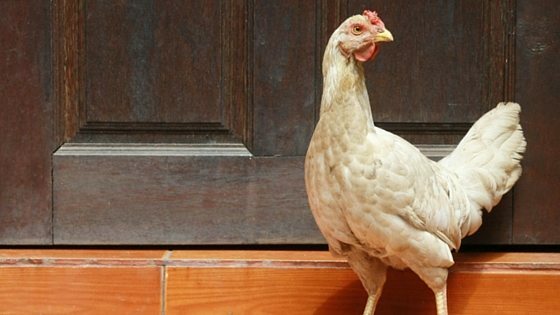 Since writing this article, I’ve started my own podcast about keeping chickens for fun & self-sufficiency. You can subscribe on iTunes or view all the episodes on FrugalChicken here. My podcast is weekly, and comes out on Fridays. The Trayer family lives on a 100% off-grid homestead in Idaho. In addition to focusing on on different homesteading skills, the Trayer Wilderness podcast, interviews every-day homesteaders about their experiences on their farms. Her interviewees are from diverse homesteads, both suburban and very rural. There’s something to be learned from both. I’ve personally been a guest on Mountain Woman Radio, and Tammy strives to fill her listeners in on the homesteading life, and to make it accessible. The guests on Mountain Woman Radio often discuss their products, such as books or other learning tools, so in addition to all the great information on the podcasts, there’s bonus resources for you listen to, buy, or watch. I’ve had a lot of “ah ha!” moments, which always happens when I listen to other homesteaders and how they run their farms. With over 94,000 subscribers to TrayerWilderness.com, you know it must be good, and it’s one of the best homesteading podcasts out there. Melissa teaches different skills on her homesteading podcasts, many of which are becoming lost arts. Learn how to salt cure a ham, save time cooking from scratch, and make candles among other skills. A lot of her podcasts merge traditional skills with modern needs, such as saving time. For example, her latest podcast 7 Time Saving Tips when Cooking from Scratch is for busy homes that still want to eat nourishing food. One of my favorite episodes is How to Make Bone Broth & 5 Ways to Preserve it at Home, and Melissa isn’t just a resource for homesteading skills; she mentions where she finds her information, so her listeners have even more material to use. I’ve recently become a fan of Wardee and her website, GNOWFLIGNS. The Know Your Food Podcast focuses on eating and cooking traditional, whole foods and getting as much nutrition from them as possible through methods such as fermenting, pickling, and culturing. (These methods also add new and complex flavors to foods, I should mention). This podcast covers a diverse range of topics from help for seasonal allergies to nourishing breakfasts, to advice on how to start your day out great. They’re easy, informative homesteading podcasts with a wealth of information that take a holistic approach to living. The bottom line is podcasts allow a group as geographically broad, diverse, and time strapped as homesteaders to stay connected, share information, and celebrate our lifestyle, while keeping traditions very much alive and accessible. Which homesteading podcasts do you listen to? Share your favorite podcast or learning tool in the comment section! Which homesteading podcasts are your favorite? Email me at editor@thefrugalchicken.com or comment below! i was just looking for some good podcasts! thanks! Great! Thanks I was just looking for new podcasts to listen to! I like The Survival Podcast by Jack Spirko, which can be found at http://www.thesurvivalpodcast.com. Covers survival as well as homesteading.